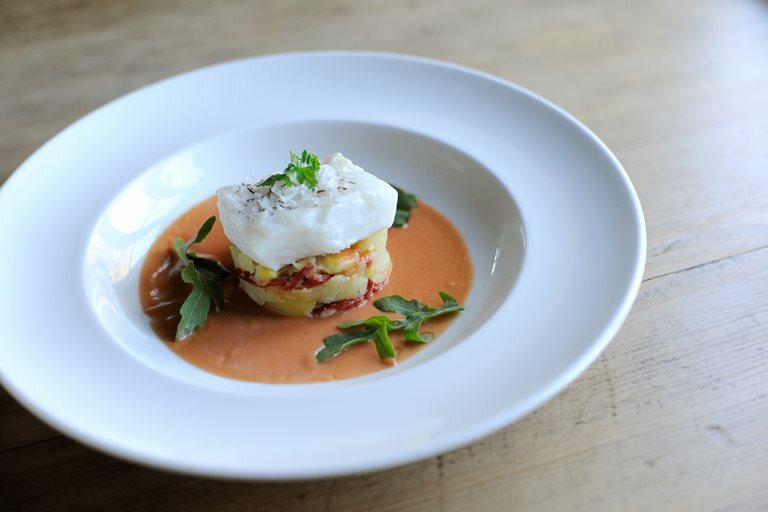 The tomato and thyme vinaigrette adds an extra fresh zing to this beautiful baked salted cod recipe by Mark Dodson. Delicious sliced chorizo and crushed potatoes round off this hearty fish dish. This salted cod recipe is remarkably easy to make, making it a great option for a weekday seafood dinner.